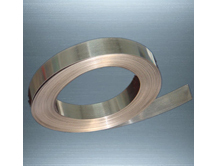 We Ambuja Tube Fitting is one of the leading manufacturers, suppliers and export Nichrome Strips. Well trained and skillful professionals manufacture these collections strictly in accordance with global quality norms and guidelines. This product is sternly inspected by best quality inspectors in order to deliver defect-free range to the clients. In addition to this, patrons can purchase the offered variety from us at leading prices.